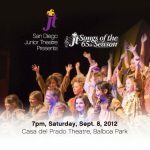 The word ‘classic’ can be defined in several different ways, most notably as: “of the first or highest quality, class, or rank” and “serving as a standard, model, or guide.” In reflecting back over our past 64 seasons of shows and looking forward to our 65th, we find that both of these definitions describe San Diego Junior Theatre. Leading the Southern California community in creative and groundbreaking theatre for youth, JT has consistently set the bar for quality and innovation. 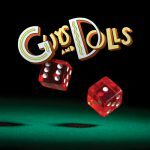 Now, we are so excited to share another classic season with you! 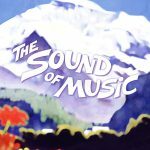 Kicking off the year is the enduring musical masterpiece, The Sound of Music, described by critics as “the loveliest musical imaginable.” In January, we are proud to bring back our pioneering experience in children’s theatre, Rippledink’s Repertory, a series of three different shows over three weekends! This year’s “rep” features cheesy characters, dogs on the go, and everything in-between. Hot on its heels are two classics of children’s literature: Tales of a Fourth-grade Nothing and A Little Princess. 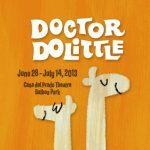 Wrapping up our season are the lovable Doctor Dolittle and the quintessential American musical, Guys and Dolls. We are also pleased to announce our partnership with Roosevelt Middle School, International Baccalaureate Magnet. 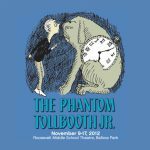 Thanks to Roosevelt, we will be presenting three wonderful shows in addition to our main stage productions: The Phantom Tollbooth Jr, The Borrowers and the ageless classic Romeo and Juliet. 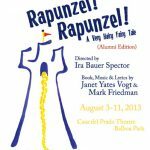 Thanks for helping to make San Diego Junior Theatre a classic for the past 65 years, and stay tuned for the next 65!